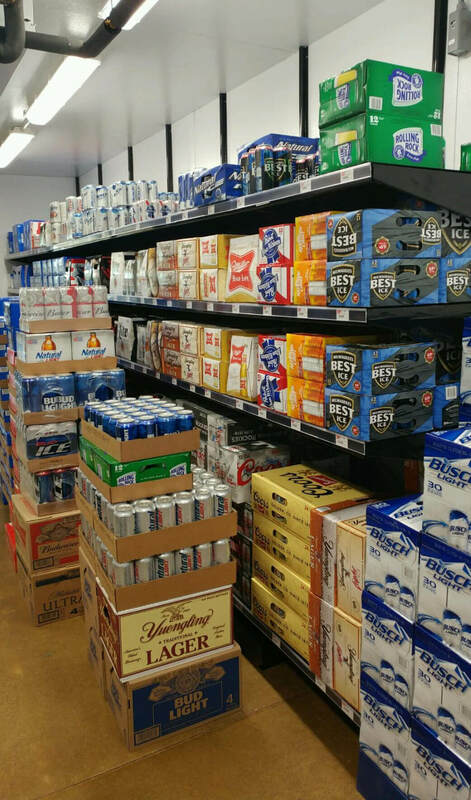 Whether its bottles, cans, or cases, E-Z’s beer cave shelving accommodates present and future customer tastes. E-Z’s shelves adjust to precise heights along the continuous channel of the system’s heavy-duty uprights. Arrange stock in single rows or stacked cases with no wasted space. There are no notches or slots to align. 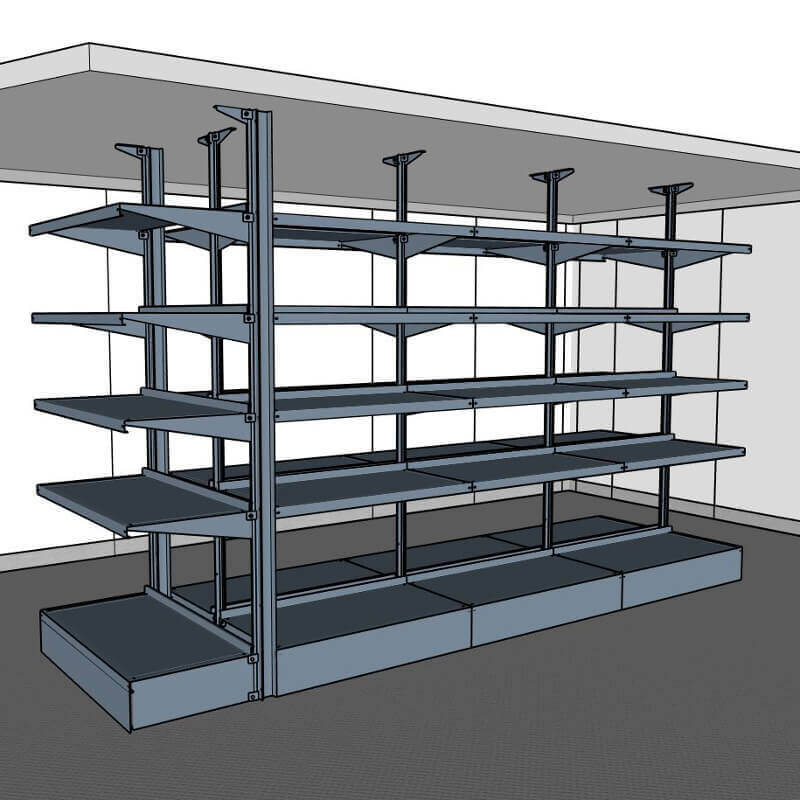 Achieve perfectly level shelf tiers without shimming. Shelf tiers are 100% open-front. No front support posts are required. Rear supports remain behind the product. 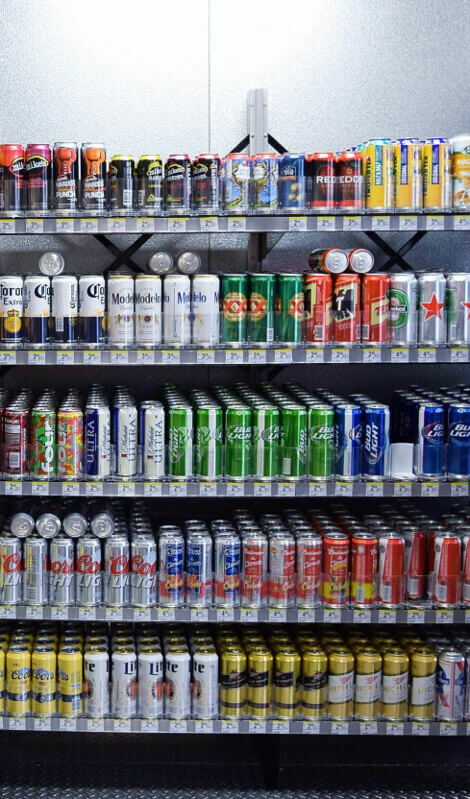 Visitors to an E-Z Shelving beer cave see their favorite products organized along clean shelf lines. 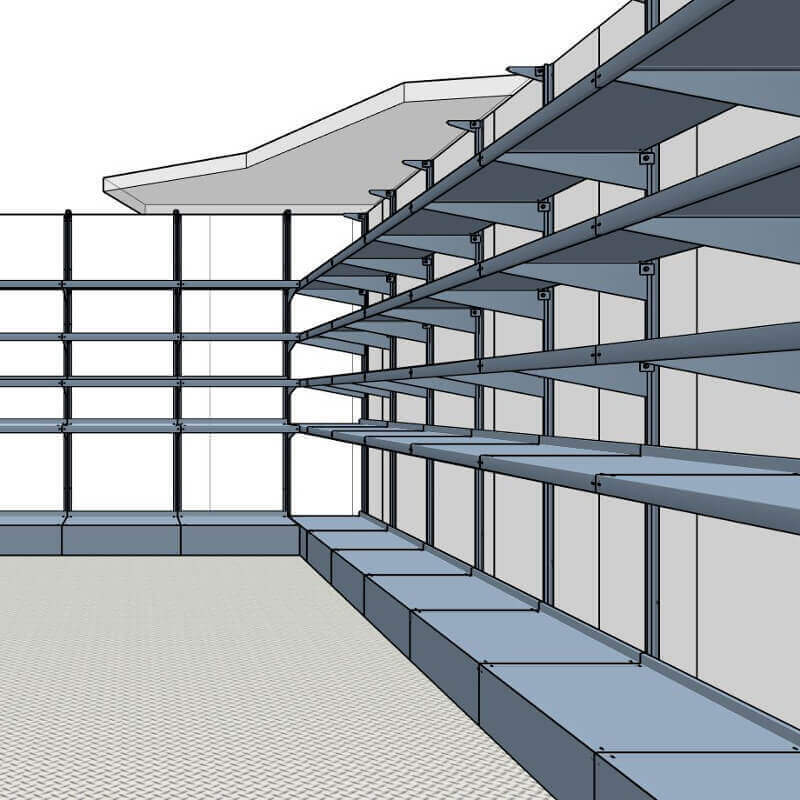 E-Z Shelving is available in both wall-mounted and freestanding versions. 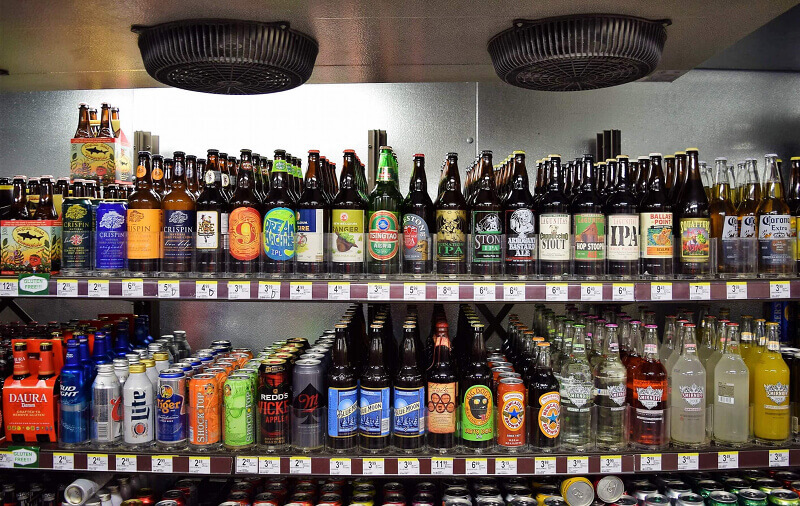 Our wall-mounted beer cave shelving mounts directly to foamed cooler panels – no blocking required. Our freestanding shelving features a heavier rear support, with optional floor and ceiling anchoring when extended height is desired. E-Z’s beer cave shelving is built-to-order to fit your space. We build to any height or length practical. 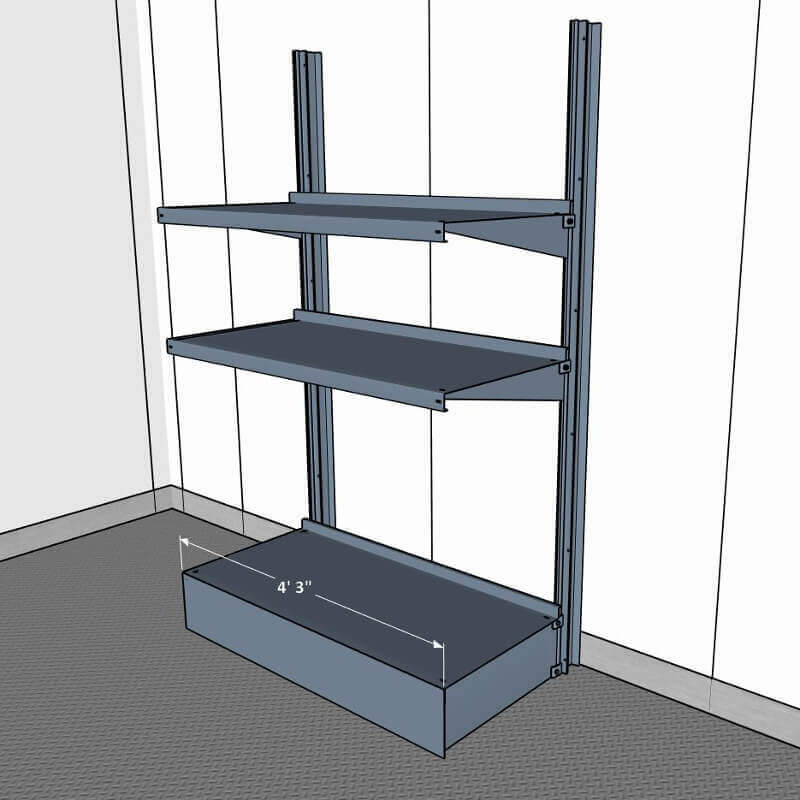 We offer shelf depths from 6″ to 30″, in 2″ increments. Our professional design services are included with every order. While black and dark gray are the most popular colors for beer cave shelving, E-Z can provide almost any custom color. Our galvanized steel shelf finish is also popular for its industrial look. 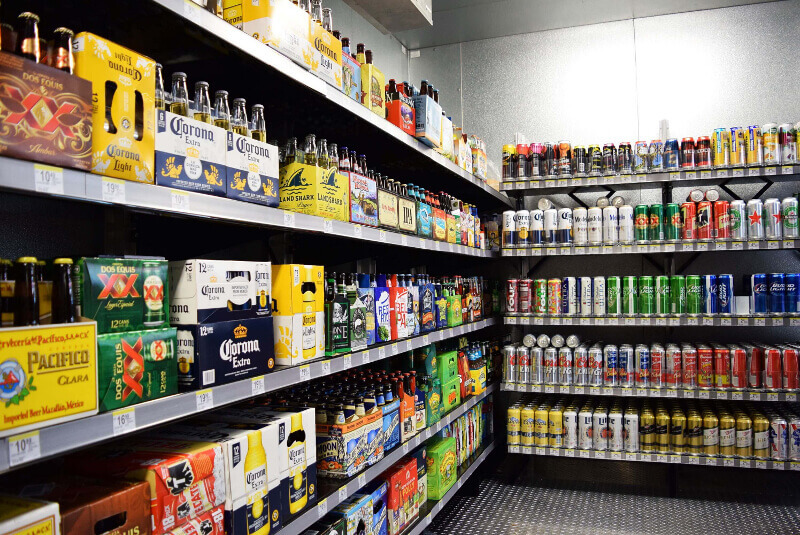 For more information on our beer cave shelving call one of our specialists at (800) 353-1331. 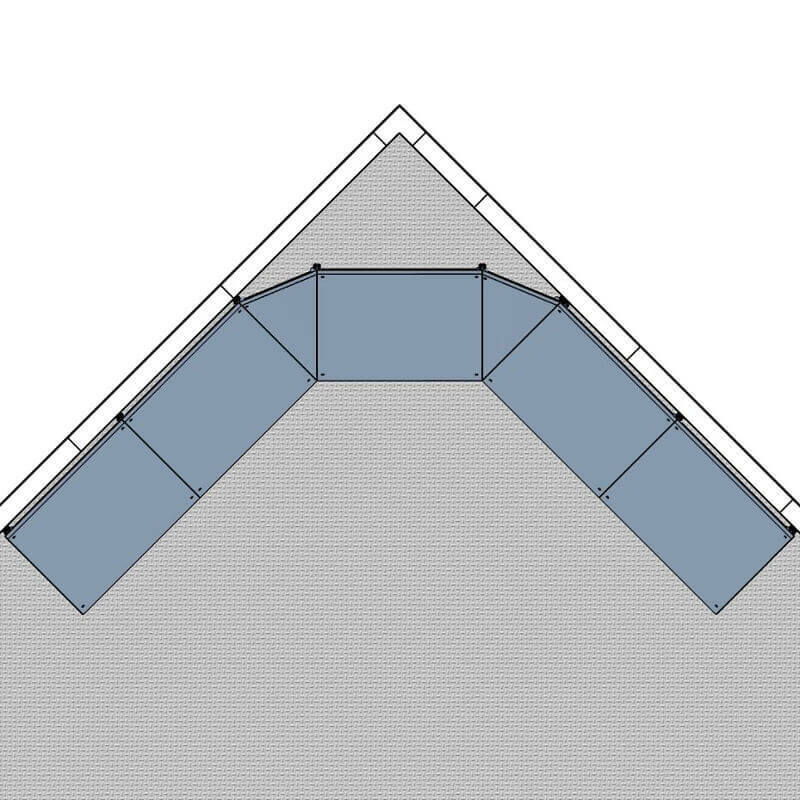 To get a quote on a specific shelving layout, upload drawings and dimensions below. 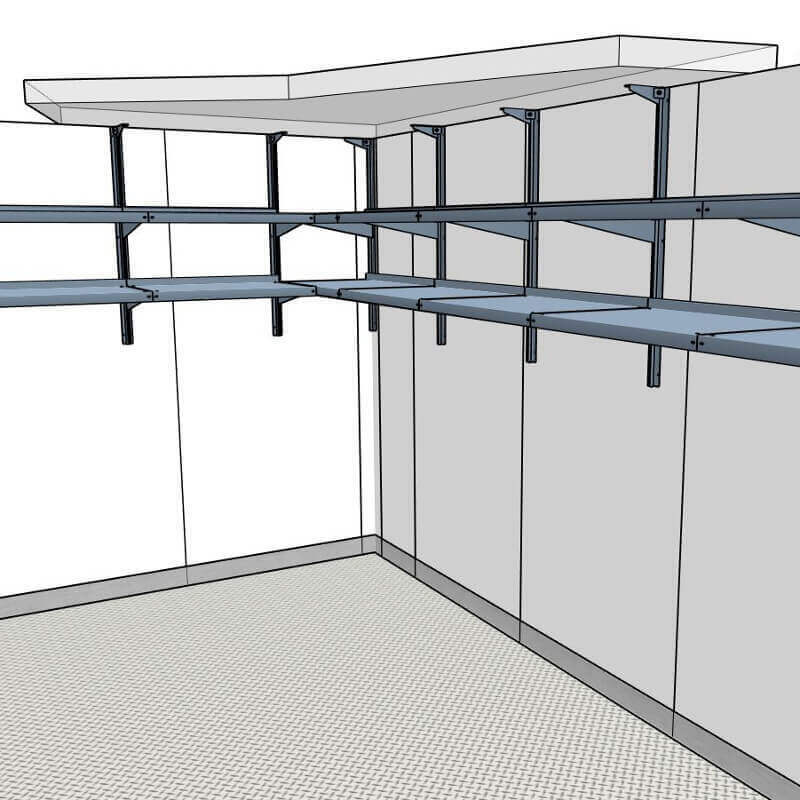 Send us plans, elevations, drawings, photos, or any other documents that will help us quote your walk-in cooler shelving system. Accepted file types: jpg, png, pdf, gif, dwg, dxf. Please describe any special requirements or pertinent details.